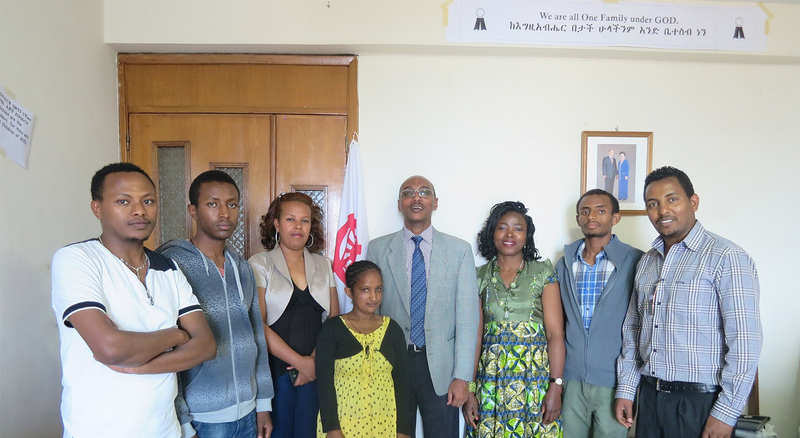 UPF-Ethiopia, Simon Amare Tekeba: We held a workshop on Human Right and Peace in Addis Ababa, Ethiopia on October 25, 2015. 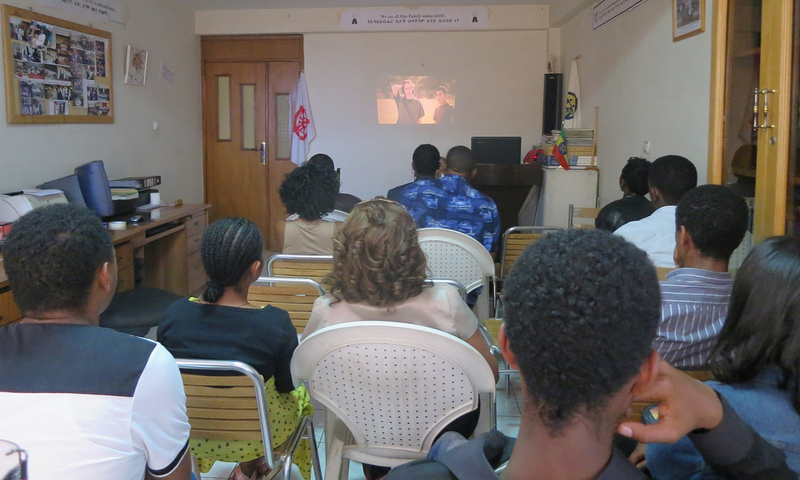 In fact, the workshop started with our Sunday Family Service program to which we invited young people to be part of, such as Tongil Moodo Martial arts Ethiopian club members and some young peace ambassadors. The main lecture in the morning was based on the 10 Commandments of Peacemaking, emphasizing the absolute need to worship together our HEAVENLY PARENTS even though we emerged from different religious backgrounds. This is an absolute necessity to give God the first place in our heart, and by so doing, surely our conscience will lead us towards higher values and good deeds. 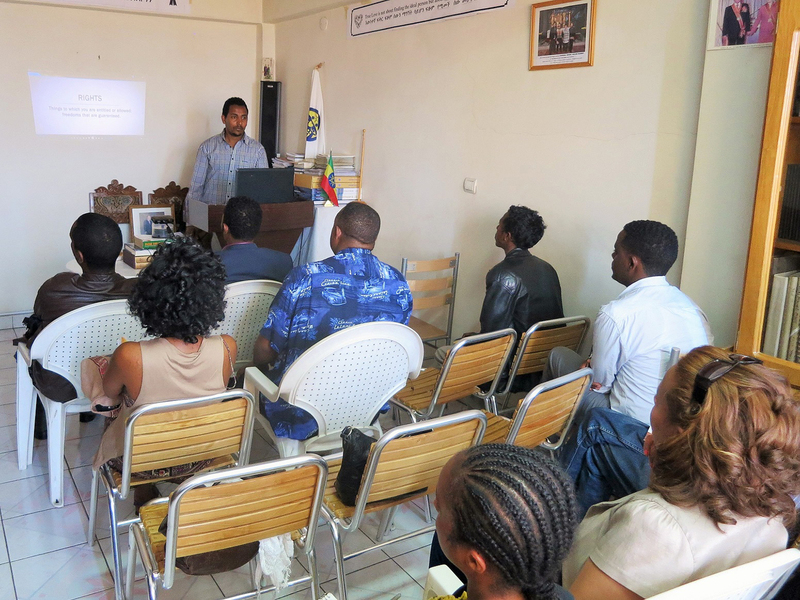 At the end of the lecture, we had chance to know and understand each other better around an Ethiopian cultural lunch program. In the afternoon, the program started with the presentation on HUMAN RIGHTS & PEACE to which other participants joined. We, first, started by singing the Ethiopian national anthem since Ethiopia was marking the national flag day in the same week. Then, Mr. Wondwossen Hagos, UPF-Peace Ambassador and University lecturer took the initiative to introduce himself and the Youth organization for human rights for which he is also advocating. He also introduced the history and the relation with Peace Building with his presentation on Youth Organization for Human Rights. With a desire for the presentation to be active, rather than one way only talk, we asked everyone to partakers so that everyone can discover by themselves whether they are truly well aware of their rights. We were surprised to find out that many of them are aware of their rights even if there are small confusions in their minds at times. Mr. Wondwossen emphasized that human rights and peace are indivisible. Peace comes when we respect and consider the dignity of everyone with no discrimination at all. Furthermore, a video documentaries were also shown in order to seize and realize the impact of violating human rights at different levels and everywhere. The videos concerned all the 30 articles of the Human rights. 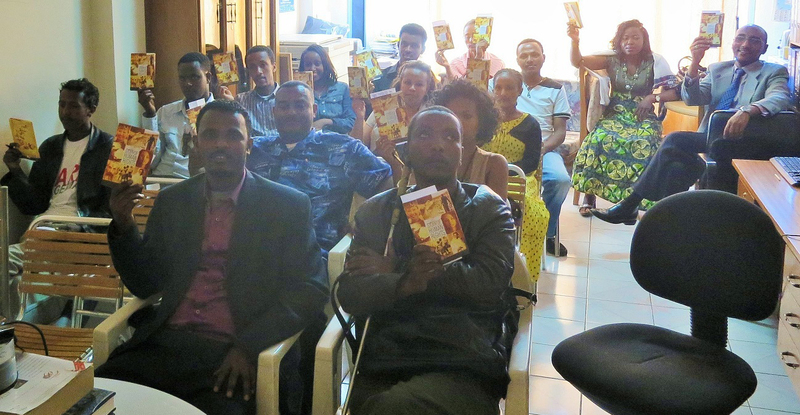 Participants were also distributed the booklets on this subject. This could help them for a better understanding of human rights. After a short time for writing reflections, we finally concluded our program with the nomination of 3 guests as Peace Ambassadors after having taught them the Unification Principle in the Peace Education in a 3-Day workshop. The nominees are: Pastor Tadele Befekaduh. Ms. Bezawit Worku, lawyer and website development expert. 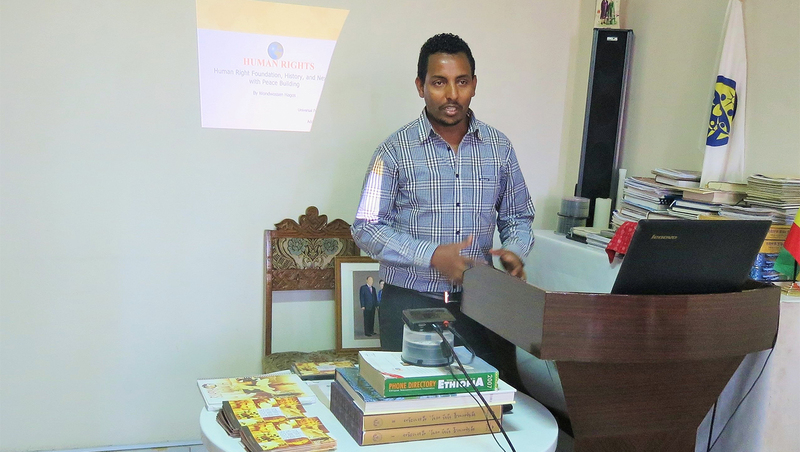 And Mr. Sisay Wogayehu, private sector employee. Mr. Wondwossen as a peace ambassador, reminded the new nominees and all participants of exemplifying the lives of Dedicated Peace Ambassadors. He often says being an Ambassador of Peace is not due to any past achievement but rather is a commitment for the future. This workshop starting truly inspired us in a way to have more such programs in the future so that we can education our Peace Ambassadors and the new guests in accordance with True Mother’s direction to fulfillment the Vision 2020 project.